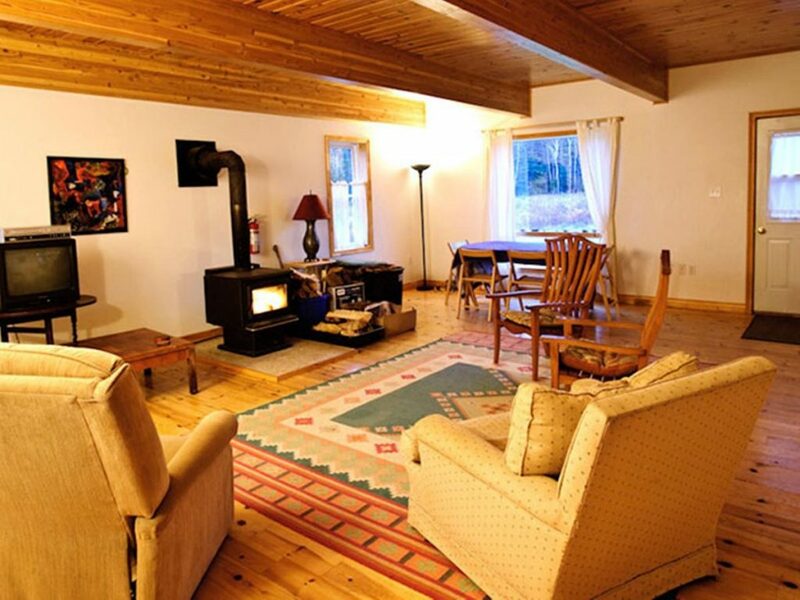 The Breton Cove Farmhouse is family and pet friendly and can accommodate up to 10 people. It comes with 5 bedrooms, a spacious living room with extended Douglas fir beams and cozy wood stove, a full kitchen and dining room (electric stove, microwave, refrigerator, dishware and utensils) and 2 full baths. There is also a deck off one of the downstairs bedrooms with an outdoor fire pit near by. Trails are leading from the Farmhouse through a meadow and old growth forest to a look-off over the ocean. Altogether, the location is a great jump-off point to the Cape Breton Highlands National Park and the Cabot Trail. A short drive away at the main lodge of Cabot Shores, you can rent kayaks, canoes, stand up paddle boards, go swimming and more. Explore more trails, have an evening of entertainment and great food at our Bistro, a drink at the bar, or just soak in the scenery. You are always welcome.